Free Shipping Included! ERW10271506 for Whirlpool Kitchenaid Auger Motor for Icemaker by ERP at akankshacoolingpoint.com. MPN: ERW10271506. Hurry! Limited time offer. Offer valid only while supplies last. Aftermarket motor produced with exact same OEM specs designed for W10822606 (previously W10271506) Auger Motor Whirlpool Refrigerator Ice Dispenser. 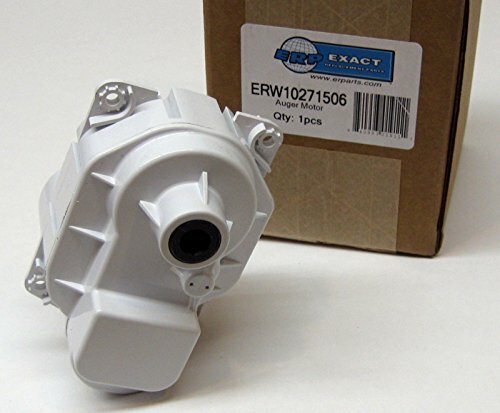 Aftermarket motor produced with exact same OEM specs designed for W10822606 (previously W10271506) Auger Motor Whirlpool Refrigerator Ice Dispenser. Part was recently updated from W10271506 to W10822606 through OEM manufacturers. If you have any questions about this product by ERP, contact us by completing and submitting the form below. If you are looking for a specif part number, please include it with your message.